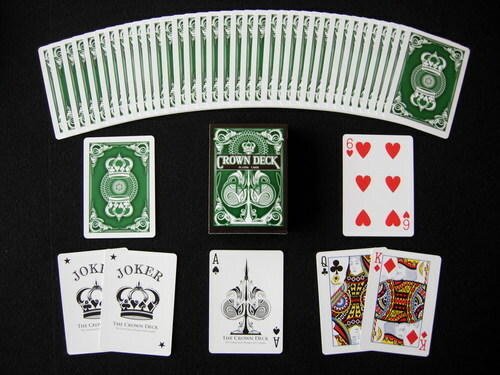 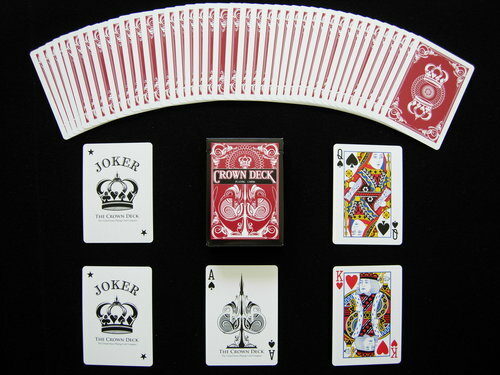 The Crown deck is the official deck of magic dealer The Blue Crown. 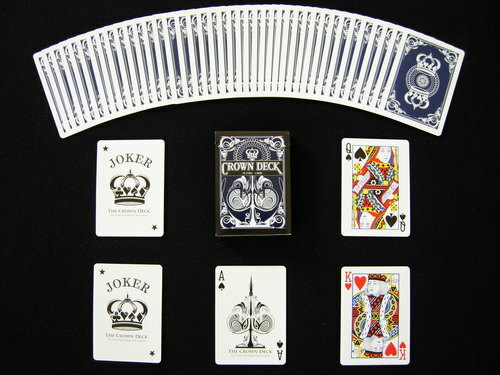 It features Arrco faces and a Tally-Ho inspired design with Magic finish and Aristocrat stock. 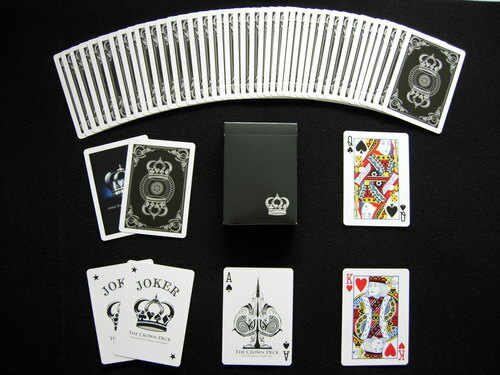 Comes with 2 custom Jokers, a custom Ace of Spades, and a double backed gaff card.